This week I had the privilege of seeing a recreation of the Salon des Refuses. The exhibit at CSULB was a tribute to the artists who were originally featured in the Salon des Refuses. The original Salon des Refuses held the work of artists who were rejected from the Paris Salon in 1863. These artists were all able to come together and celebrate their work and find the meaning in their work even though they were rejected from the Paris Salon. I was fascinated by the whole idea of the Salon des Refuses. I love the idea that all art is valid. Even if maybe it doesn’t meet a specific standard that is decided, all art holds importance to the artist. Who decides whether art is “good art” anyways? Where do these standards come from? I think that all art has meaning and importance. 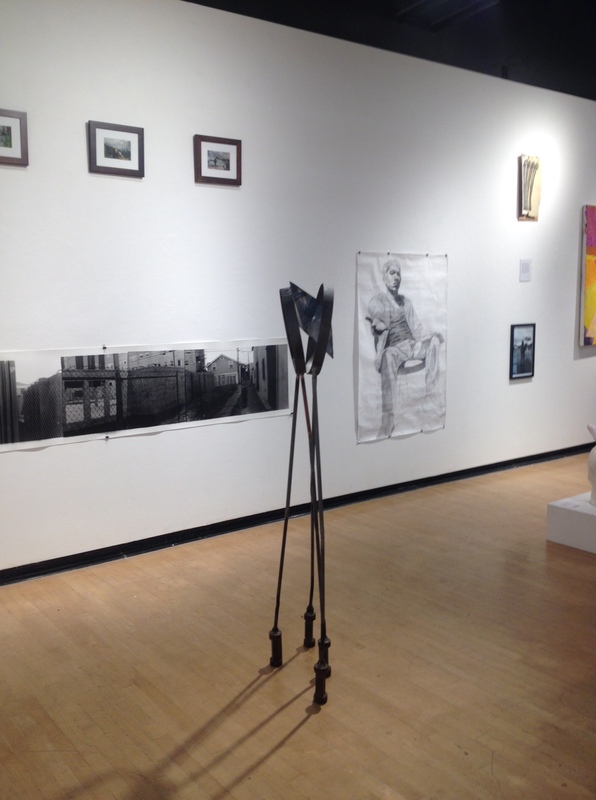 Andre Stevenson put together this Salon des Refuses show at CSULB that displayed the work of both students and faculty. The art that was shown was all rejected work. Not always was it rejected by someone else, but some of the work came from artists who hadn’t shown it before. Some of the work was taken out of an artists collection or didn’t fit into their own own show. This showing was the perfect way for all these artists to show these pieces. This is Stevenson’s second time putting together a show like this. He accepted all work that was auditioned, which I thought was awesome. It wouldn’t make much sense to not allow some but allow others considering the whole theme of the show. Posted in UncategorizedTagged andrestevenson, salon des refuses, stevensonBookmark the permalink.